"Oh, most definitely," Krider said when asked if the team standings gave him extra juice in the championship match. "I'm not just going out there for myself, getting that individual title. I'm going out there, competing for my team, competing for my brothers." "We knew we were coming into the strength of our lineup there at 132, and we matched up with Huntington North in that matchup, so for him to get the pin there, that was great for us, for momentum and the team score," Carroll coach Tim Sloffer said. 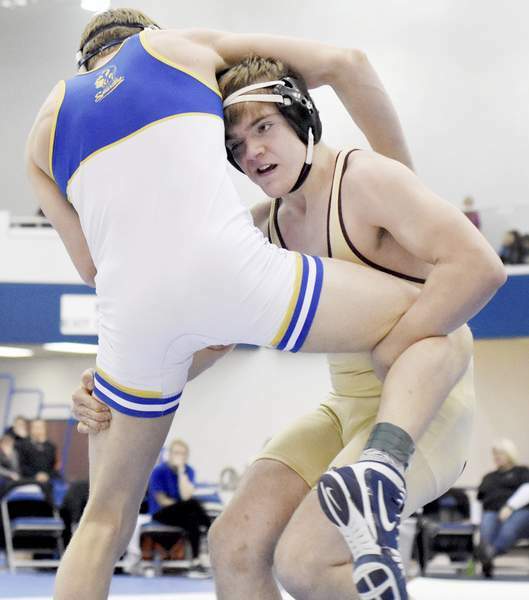 In addition to Krider's match against Haught, Carroll's Scottie Saylor was pitted against Huntington North's Mathew Kline in the 145 third-place match, and Carroll's Ethan Hicks faced Huntington North's Cody McCune. Saylor pinned Kline, while Hicks won a 2-1 decision. 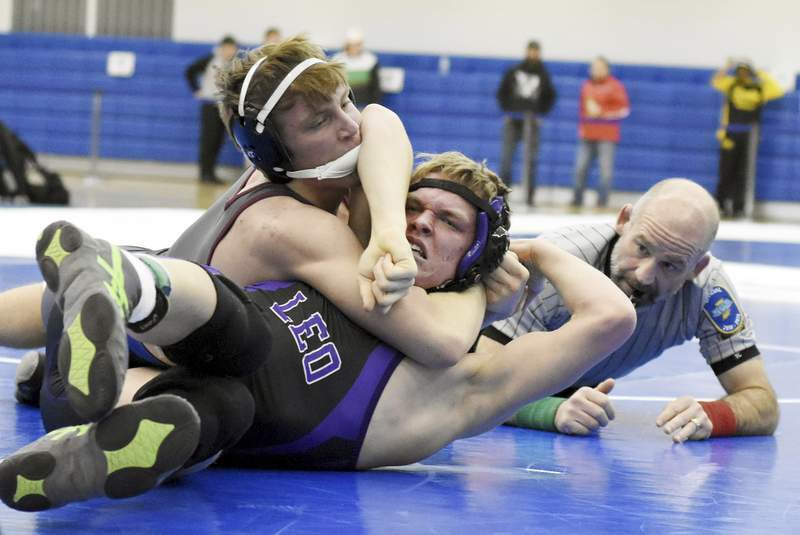 "I just knew I had to keep control of my ties and everything, make sure he couldn't get out of the headlock, because that's what he did last time," said Muncie, who eventually won 2-1. The top four finishers in all weight classes advance to the semi-state tournament at War Memorial Coliseum next Saturday. 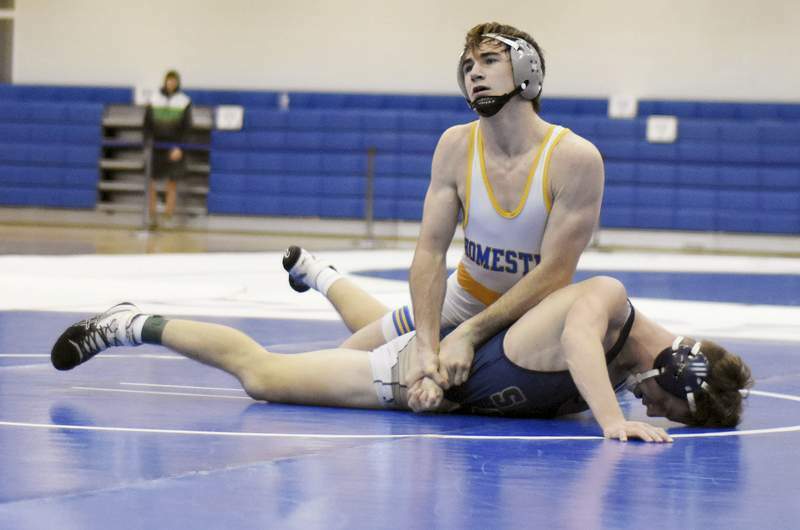 Logan Mosser (132), Logan Macklin (145), Parker Bates (170) and Jashawn Berlanga (220) all won their weight divisions for the Flying Jets. Norwell's Kade Zadylak won at 120, while Isaac Ruble (106) and Jon Ruble (160) won for Bellmont. Wawasee finished second behind Penn at the Penn wrestling regional. Warsaw was sixth. 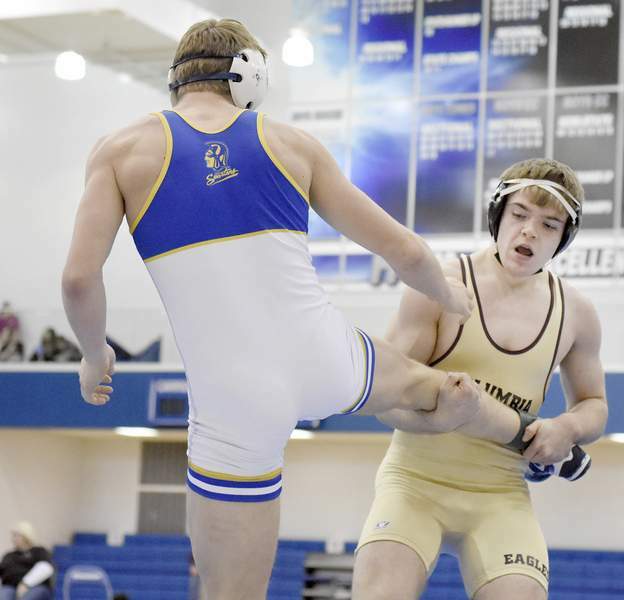 The Warriors claimed wins at 132 and 138, as Geremiah Brooks beat Penn's Nate Hadary by major decision, 12-4, and Braxton Alexander pinned Mishawaka's Gabriel Weeks. 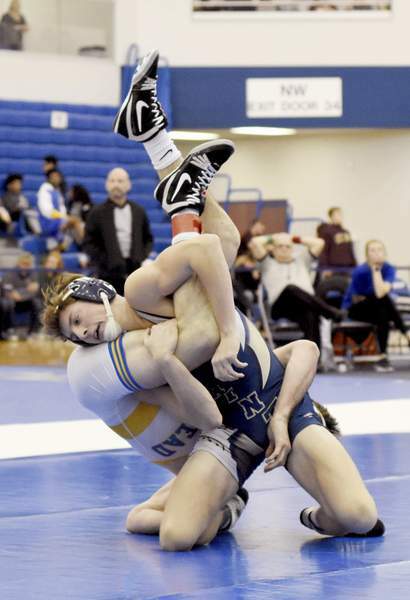 Qualifiers from the Penn regional will compete in the East Chicago semi-state next week.